Kevin started the discussion with reminiscing on how twitter was introduced two years ago at SXSW. He added that the goal in writing is to inform, engage, entertain, and persuade. Dana Robinson let us know that NBC only started to twitter five months ago. Helen Klein Ross commented that Facebook was the place to connect to people you used to know, while twitter connects you with people you want to know. She added that you need to make every tweet count in 140 characters. Ashley Pierce told the group that companies need to stop talking like companies and start talking like people. The audience shared which twitter and social networking applications they were using, including tweetdeck, tweetlater, twihrl, and twerbos. 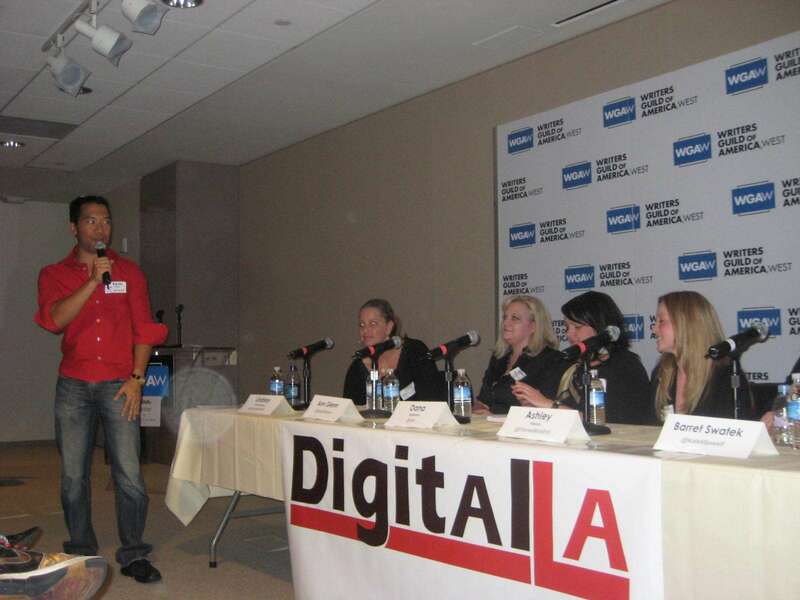 Digital LA’s next event will be a networking mixer at Apple on Thursday, April 30th. ?For tickets, go to www.digitalla.net.